← TRC #408 – 8 Glasses Of Water A Day + 2016 Celebrity Deaths + Do Cell Phones Cause Cancer? Cristina takes us back to high school to explore the probability that Melania Trump plagiarized part of Michelle Obama’s 2008 Democratic convention speech. Adam travels across the land searching far and wide to debunk recent news stories about Pokémon Go. Finally, Darren takes an in depth look at the non-fiction book Our Mathematical Universe by Swedish-American cosmologist Max Tegmark. 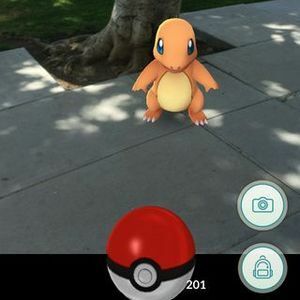 Man Sues Pokemon Go Company For 500 Million After Being Hit By Car! 1. You must know, but failed to acknowledge, that neither Melania nor Michelle are likely to have written their own speeches. Speech writers do that. 2. If there was plgiarism, it was done by the speech writer, who should have been fired on the spot, in my opinion. 3. The mathematical argument that this did not happen by random chance is compelling, and the GOP excuses that this was a random accident of chance are indeed laughable. 4. While we all agree that odds of 1 in 87 billion are laughable, you do not blink at the odds of the fine-tuning of the universe, which are (literally) many orders of magnitude more staggering by comparison. You seem to be selective in how you apply your critical thinking. Paul makes some good points but I would differ on the significance of item 1. It’s true that speech writers do the yeoman work for a public figure’s speech. But it’s the speech giver who ultimately takes responsibility for the final form of the talk. In many cases, the presenter has actually shaped the points and set the agenda for the speech. So whether Michelle Obama was the “writer of record” or not, the ultimate credit (or blame) goes to her. It’s the speech giver’s job to advise and consent (so to speak) to everything that comes out of their mouth. Likewise, Melania didn’t simply stand in front of microphone and wait for someone to hand her her remarks. But that said, it appears she did kinda get blindsided by her speechwriter who subsequently took the heat for that clear plagiarism.